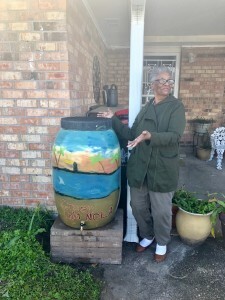 Ms. Rosie received light bulbs from us back in 2015, and on January 22, 2019 we installed both a rain barrel and a garden for her! She loved both so much that the day after the installation Ms. Rosie called in and said she wanted to be put back on our list to get a second garden. 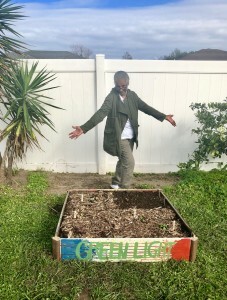 She is always so kind to Green Light staff and volunteers and has been a huge supporter of Green Light for many years, helping to spread the word to countless community members about the sustainable practices Green Light can help them implement.